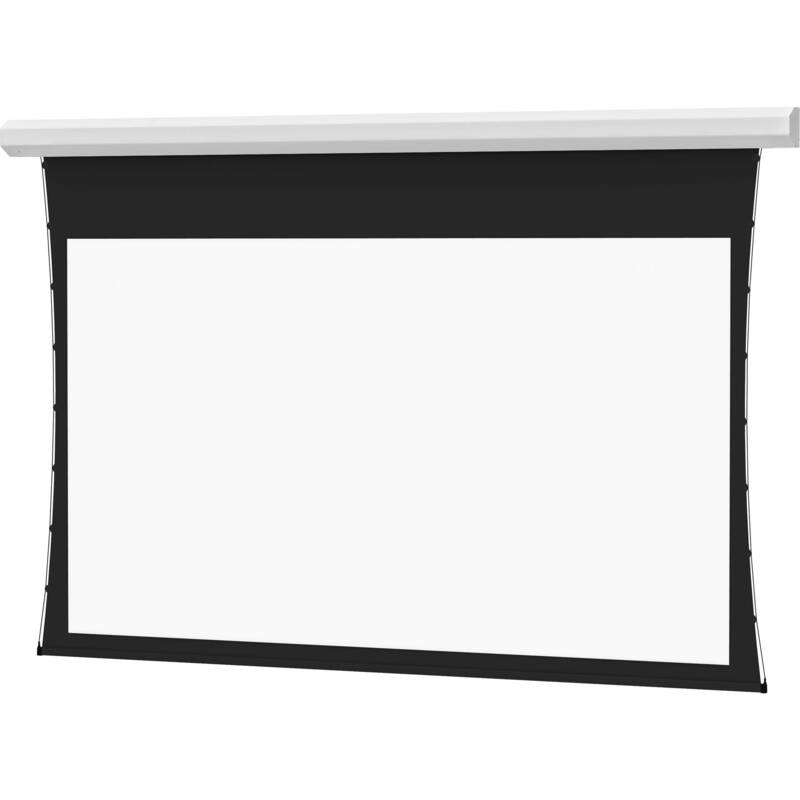 The Dalite 58 x 104" Cosmopolitan Electrol Rear Projection Screen is a good, solid and reliable choice for school, business or even home use. This screen is a good choice when either your site, budget or demands do not require a permanently recessed installation. The built-in motor is quiet and offers reliable and smooth service. The tensioned version of this screen offers a guide cable that maintains even horizontal pressure to hold the surface flat while a custom slat bar with added weight maintains the vertical tension. Its handsome white case blends with any decor. Note: This item is ONLY wired for 220V, European voltage. An optional choice of seven veneer case finishes is available for a warm, elegant look. Choices include - Honey Maple, Medium Oak, Heritage Walnut, Mahogany, Light Oak, Natural Walnut, and Cherry. Honey Maple, Light Oak and Medium Oak have white end caps. Cherry, Mahogany, Natural Walnut and Heritage Walnut have black caps. Specify when purchasing.